Click here for a free no obligation demo. Work for Commissionly - Sales Commission Software? Learning about Commissionly - Sales Commission Software? If you are a small to medium sized company and till date you calculate the comissions for your employees manually just because all the softwares out there are either very complex to use or come with a hefty price, then Commissionly is defintely the solution you have been looking for. With a very small price on a contract free, monthly basis you can get this software to calculate the commissions for your employees. Every employee can check their commision real time and how close they are to meeting their targets. The report also shows how much commission they made in the previous months to keep track of themselves. On top of this, it also shows the employee their average commission compared to other employees for any specific month. You can easily import data from any source which makes it alot easier instead of manually writing entries. It also has a great CRM feature that comes in quite handy. For the employers or a manager, it is just as easy creating a target based on revenue or profit for the employers, a quick step by step wizard has been created that guides on how to create monthly or quaterly targets on a monthly or quaterly basis for your employees. Worst case scenario, if there is something you don't seem to understand they have great customer support that will definately solve any issues you might have. For the time I have been using this, I have not come across any cons so far. For a small business, it saves alot of time instead of manually calculating commissions for every employee. The employees can easily look at their commission reports and compare with their past monthly reports. I have searched extremely hard for a piece of software that would replace our commission spreadsheet however everything I have found has been far too expensive. I run a small business that doesn't run on an unlimited budget but I still require software that is easy to use, functional and allows me to manage my commissions on a spreadsheet effectively. Commissionly achieves all these things and more. Commissionly has really had a huge effect on my business. My business has its own CRM but with Commissionly it does not connect to it directly. It does however have its own roadmap and it is also easy to export the data to CSV for now. Go watch the setup video's, they are extremely helpful. Also they live support on their website, so its very easy to get hold of them if you need support. Finally I have software that allows me to manage commissions on a spreadsheet that isn't tedious. No more annoying requests from sales reps asking me for an update because with Commissionly they can login and access to all the information whenever they want. And on top of all this it is very affordable. "Simple, easy to use software for a SMB"
We needed something simple to replace our commission spreadsheet, that was easy to setup, and most importantly was affordable. Most software is really expensive, is complicated and has setup costs. We were able to get up and running on our own and our sales reps love it. They don't connect directly to our CRM, which would be great, but they have it on their roadmap and it is easy to export the data to CSV for now. Make sure you watch the setup videos when you setup for the first time. There are some useful tips and tricks. They have live support on their website, so you can chat with them to get support if you need it. Managing commissions on a spreadsheet is tedious and the sales reps are constantly asking for an update. This way they have a login and can access their figures at any time. It also mean less chance of costly mistakes on my behalf, so save us money and frustration for the reps.
"A must have fantasic app!" I love this software. I have a number of referrers that I pay commission too. The system has a CRM built-in, so my referrers can submit their own orders and then I can just validate them as correct. Yah!! Easy to use reports so I can make their monthly payments on time and the right amount. They offer a free setup service which is usually $1,000 - got me up and running in no time and hassle free. A nice easy to use app for my referrers to submit their orders and for me to track and pay their commission. "Very user friendly and great UI and ticks all the boxes!" The ease of use and intuitive set up wizards. I also like that it's unique in the way is collects, analyses and displays the commission data. I highly recommend this to anybody interested. Never lose track or get into arguments with your sales people again. Looks good so far! Recently introduced to the product. Highly recommend this! It is really easy to use, easy to interpret and closes the door for potential disputes with the sales people. It's a slick piece of software that has been well designed with a lot of thought gone into it. It exports really well too. Great visualisations for management and the sales team. Easy to revised and edit. Reporting at the click of a button with no ambiguities! I was having trouble keeping up with my sales and commission as a small business and i was taking up a lot of my valuable time. I thought as a small business I wouldn't be able to sign up to any of these sites, however commissionly let me sign up and there is no contract!. Its helped me to manage my commission cost effectively and its really simple to use. I can import my data from any source which I found really useful and everything is easy to view on the charts they produce for you. You can look at past months and they have the unique CRM feature which is really good. If you are a small or medium sized business I would definitely recommend signing up as this site has helped me be more cost and time effective. That I didn't hear about it sooner as it has improved my organisation entirely. Its cost and time effective and its really easy to use so I don't have to spend time on courses learning how to use the software. "Perfect for my small business!" My company name explains how easy it is to use. Ezeesport. :) Simplicity of use and really affordable for small business. Not currently connected directly to my CRM, but I can export a CSV and import my data that way. They say the connector is being added soon. Need to pay my referrers their commission. Commissionly means they can login and see commissions being paid for the month or I can send an email to them with one click. "Finally! Just what I need..."
Commissions are a huge pain for us. So glad we found Commissonly. Its great for our sales people and for us. It's great. I haven't disliked anything so far. Thumbs up. We have a sales team of 10 people and managing their commissions on a spreadsheet is a pain. Having everything in an easy to use app has made life easier. "Super User Friendly, Great Functionality"
It is very user friendly. The app is fast, intuitive and easy to understand. Great features, functionality and reporting. Perfect for Small/Medium sized businesses looking for Commissions calculation and tracking system with CRM features. Not sure if there is an offline version...? It saves me time and energy when calculating complex commissions. A bit cumbersome to set up and maintain from an admin perspective. Solving for the manual nature of commission calculations. This reduces that manual work. Thank you for your feedback. We are sorry to hear that you find the ongoing maintenance difficult to manage. Most of our users have found this to be one of the stengths of Commissionly and have rated us highly. Would it make sense to have a conversation, perhaps through our support, and discuss what you are finding difficult and we can endevor to resolve this? "Only affordable Commissions software for small & medium businesses." My team can see their performance in comparison to others and how far off their target they are. Great that you can back date your commissions. Easy customization for any commissions structure. Most importantly affordable for small businesses. Haven't found anything I don't like yet. Quick easy commissions calculations . Its affordable - i have never been able to afford commissions software up until now, always been priced out. "Everyone in a sales business needs this"
Love the interface, it is clean and intuitive. Also love the simplicity. The easy to understand graphs empowers and motivates. No mobile app yet but I have reached out to the developer who advised that both Android and Iphone apps are on the way. Surprised with their responsiveness. Received an answer withing minutes. Delivers important sales performance data to managers and sales people. It motivates sales staff and empowers sales managers. "Complicated problem made really simple"
It's easy to use and very cost effective. Haven't seen any downfalls yet but looks great. I run a small business and am looking to expand operations. One of the things that have held me back is the admin of adding to my team and having to work out who gets paid what. This seems to be the perfect solution and I'm sure will prove very valuable over time. I have a small team that need a way to manage their commissions. With no contract and a low cost to get them started, this easy to use solution with clear reports looks like a winner to me. Just starting with it but so far it looks good. A quick simple way to get commissions under control for a small team. Ease of use. Very user-friendly. Aesthetically cool! I have not yet fond any fault with the app! Go for it! This is so revolutionary, it'll definitely change your life! Fast. Reliable. Portable. Quick to update. Excellent motivator! * We monitor all Commissionly - Sales Commission Software reviews to prevent fraudulent reviews and keep review quality high. We do not post reviews by company employees or direct competitors. Validated reviews require the user to submit a screenshot of the product containing their user ID, in order to verify a user is an actual user of the product. Hi there! 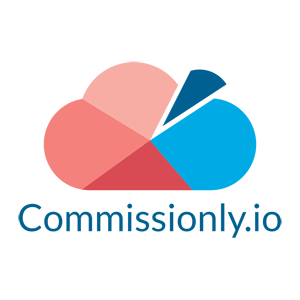 Are you looking to implement a solution like Commissionly - Sales Commission Software?